-For connection of high quality components. -Suitable for analog and digital applications. -Excellent shielding due to dense braiding and AL/PT foil. Ye Zeal is the best OEM/ODM choice in the global supply chain. We employ Scientific Management principles to produce quality products delivered on time. We have acquired ISO, UL, and CL3 certifications regulating product standards, and we are ROHS compliant. We are proud to be the green choice amongst the competition! You can visit our website as well for more detail . If you are interested in our products and wish to step further, kindly please contact us by e-mail .We shall reply you ASAP with best prices. 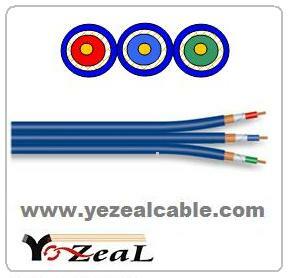 Company Name: Ye Zeal Electric Wire & Cable Co., Ltd.